We have seen in a previous article (Why do we catch cold and flu during winter? ) why winter is a higher risk period for respiratory tract infections, let’s see in more details which infections are the most common. Upper respiratory tract infections (URTI) include otitis, sinusitis, pharyngitis, tonsillitis, laryngitis and epiglottitis. They are mainly caused by viruses, however, primary viral infections are frequently complicated by a bacterial surinfection. URTI are generally more frequent in the fall and winter months. In 2017 was published the largest epidemiology study in Europe on respiratory viruses in hospitals, conducted over a 5 year period (2011-2016) (1). The two major types of viruses identified were picornaviruses (rhinovirus or enterovirus) and influenza. However, in the winter season, influenza was the most prevalent virus, present in 34.4% of patients. Influenza peaks from January to March. Other viruses with a winter predominance included RSV, coronavirus, metapneumovirus and bocavirus. Altogether, seasonal viruses’ peak ran from November to April. Another recent epidemiology study shows that the main acute respiratory viruses, including influenza, are especially frequent in the winter in children under 6 (2). In another children study, rhinovirus has been found to be the most common community acquired respiratory virus, found in 36% of hospitalized patients (3). Infections of the lower respiratory tract (LRTI), which include pneumonia, bronchitis, and some exacerbations of chronic lung diseases such as asthma or COPD, are less frequent but more severe than URTI. They represent an important burden in terms of quality of life, morbidity and health care costs, being an important source of patients’ hospitalisation and treatments spending. Young children and seniors are the most susceptible to LRTI. Acute bronchitis is most frequently diagnosed in children under 5, whereas chronic bronchitis is more prevalent above 50 years old. Acute bronchitis is common throughout the world and is one of the top 5 reasons for seeking medical consultation. In the US only, an estimated 4% of the population is diagnosed with acute bronchitis, and 82% of episodes are reported during fall or winter (4). In a recent study on 200 LRTI patients, as much as 77% of samples were found positive for bacterial pathogens, with Klebsiella pneumoniae was the most prevalent pathogen, followed by coagulase positive Staphylococci (5). Chronic conditions. 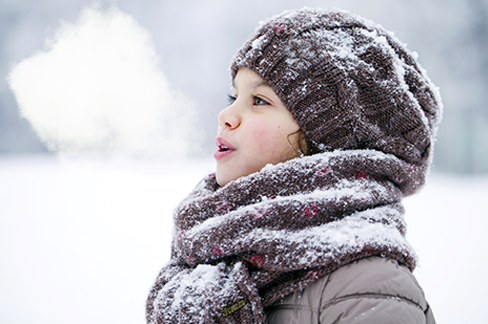 In adult asthmatic patients, it also appears that exacerbations, provoked by viral infections, are more frequent in winter (6) (in children the peak is in September). Similarly, in patients with chronic obstructive pulmonary disease (COPD), exacerbations and hospitalisations are more frequent in winter months. An almost two-fold increase in exacerbation numbers has been shown in the winter months (7). Moreover, exacerbations are also more severe during the winter: a 2012 publication showed that recovery time was longer and hospitalization rate higher in November-February than in the warmer months (8). A large study looking at over 52,000 cases of respiratory infections showed that as much as 65% of patients received antibiotics (9). Antibiotics were prescribed for 78% of acute bronchitis, 65% of acute pharyngitis, 81% of acute sinusitis, and 33% of nonspecific URTI episodes, among which a majority were broad spectrum. More recently, a South American study across 4 countries (Argentina, Bolivia, Paraguay and Uruguay ), looked at close to 12, 000 patients with suspected respiratory infections and showed that altogether, 33% of them were prescribed antibiotics, but with huge variation across countries in the use and selection of antibiotics, attributable to difference in health management between countries (10). Overuse of antibiotics may lead to resistance, increased cost, and increased incidence of adverse effects. In the 2016 LRTI study (5), it was shown that, among the patients positive for bacterial pathogens, 40-60% of bacteria isolated were shown to carry antibiotic resistance genes. Today, as the fight against antibiotic resistance is a number one public health concern, prevention (vaccination, basic hygiene rules to prevent contamination, nutrition…), effective diagnostic and limited antibiotic usage should be a priority. Visseaux B et al. Prevalence of respiratory viruses among adults, by season, age, respiratory tract region and type of medical unit in Paris, France, from 2011 to 2016. PLoS One. 2017 Jul 14;12(7):e0180888. 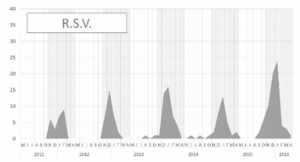 Leotte J et al., Impact and seasonality of human rhinovirus infection in hospitalized patients for two consecutive years. J Pediatr (Rio J). 2017 May – Jun;93(3):294-300. Vijay S, Dalela G. Prevalence of LRTI in Patients Presenting with Productive Cough and Their Antibiotic Resistance Pattern. J Clin Diagn Res. 2016 Jan;10(1):DC09-12. Guilleminault L et al. Seasonality in asthma: Impact and treatments. Presse Med. 2016 Nov;45(11):1005-1018. Donaldson GC, Goldring JJ, Wedzicha JA. 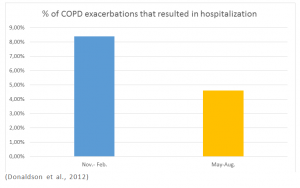 Influence of season on exacerbation characteristics in patients with COPD. Chest. 2012 Jan;141(1):94-100. Gill JM, Fleischut P, Haas S, Pellini B, Crawford A, Nash DB. Use of antibiotics for adult upper respiratory infections in outpatient settings: a national ambulatory network study. Fam Med. 2006;38(5):349-354. Cordoba G et al. Antibiotic prescriptions for suspected respiratory tract infection in primary care in South America. J Antimicrob Chemother. 2017 Jan;72(1):305-310.